Size: approx. 10 mm. Photo: 09/18/11, noon. This bright silvery moth is Argyria lacteella. 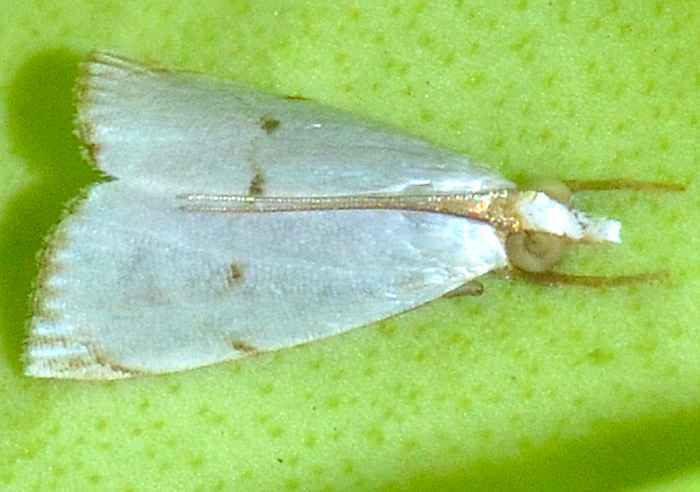 It is very similar to the Snowy Urola which lacks the dark spots on the forewing.